Seasons are fundamental to how we understand the UK climate and the environment around us, but how do we define when they start and end? 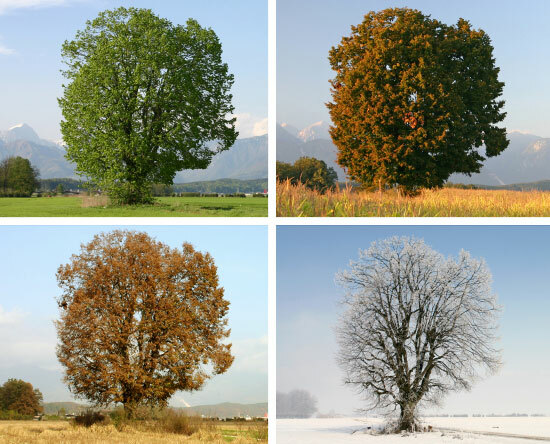 In meteorological terms, it’s fairly simple – each season is a three month period. So, Summer is June, July and August; Autumn is September, October and November, and so on. Of course, this is fairly arbitrary, but provides a consistent basis for the Met Office, as the holder of the UK’s national weather and climate records, to calculate long term averages and provide seasonal climate summaries from year to year. Mike Kendon, of the Met Office National Climate Information Centre, said: “Defining seasons in this way means we can compare weather from one season or year to the next. It also has the advantage that each season is roughly the same length, neatly dividing the year into four quarters. Astronomical definitions of seasons also exist – using the Earth’s position relative to the Sun as the cue for separating one season from another via equinoxes and solstices. So the Summer begins around the Summer Solstice, when daylight hours are at their longest (around 21 June), and ends around the Equinox, when days and nights are of equal length (around 21 September, on 22 September this year). Thus astronomical Autumn begins, continuing until the Winter Solstice, when daylight hours are at their shortest (around 21 December), and so on. Astronomical seasons therefore are about three weeks behind the meteorological ones. One thing both methods have in common is that the dates are fixed by the calendar and don’t take into account what is actually happening in nature, which is after all how most of us understand the notion of seasons. So comes the third method, which is based on phenology – the process of noting the signs of change in plant and animal behaviour. In this distinction, Autumn may be deemed to have arrived at the first tinting of oak or beech trees, the appearance of ripe sloes or elderberries and the arrival of winter migrant birds such as redwings and fieldfares. Winter begins when native deciduous trees are bare, and so on. For more than a decade The Woodland Trust has been using observations from thousands of members of the public to build a phenological record for the UK, called Nature’s Calendar. This builds on records going back over much longer periods of time. It aims to give a comprehensive view of how nature defines the seasons in a record which takes into account how weather in individual years or longer term changes to climate may affect natural signs from one year to the next. As such it is a more fluid, natural definition of our seasons. Dr Kate Lewthwaite, project manager for Nature’s Calendar for the Woodland Trust, said: “Taken individually the observations of what’s going on in nature provide only anecdotal evidence, but taken as a whole and analysed with temperature data, they offer a powerful insight into local and national impacts of environmental and climatic change. Ultimately, however you choose to define them, it is weather and climate which govern the perception of the passing of seasons for plants and animals, including us humans. So, like our weather, the exact timing of when we ‘feel’ one season is over and a new one has begun will always be liable to change. Whereas, in contrast, the meteorological seasons always remain fixed by calendar month. Between the Met Office’s climate records and our forecasts up to a month ahead, you can stay up-to-date with what’s going on with the UK’s weather and climate. This entry was posted in Met Office News and tagged Autumn, Climate of the United Kingdom, Equinox, Met Office, nature's calendar, September, spring, summer, Summer Solstice, Winter, Winter Solstice, Woodland Trust. Bookmark the permalink. I cannot imagine why I should have liked this post. Perhaps it is something to do with my addiction to Nature’s Calendar. Right, I’m off to update my weather station with the new climate averages. I am shocked – shocked! – that you fail to mention the seasons definition of Hubert Lamb as detailed in this link, given that he was once one of your very own scientists. His splitting of winter into early and late is I think quite well supported by some recent Met Office research on the impact of ENSO and Sudden Stratospheric Warmings on British winters, with this tending to have most impact during late winter. It’s also worth noting that meteorologists sometimes split the seasons of the mid-latitudes into a long summer/winter of five months each, leaving October and April as the transition months for autumn and spring. I also found the paper by Alpert et al (2004) in the International Journal of Climatology interesting, as it seeks to define seasons in terms of synoptic weather types, continuing the work of Hubert Lamb (they cite two of his papers). Hubert Lamb’s renaming of summer as high summer is, however, a triumph of hope over experience for the British Isles.